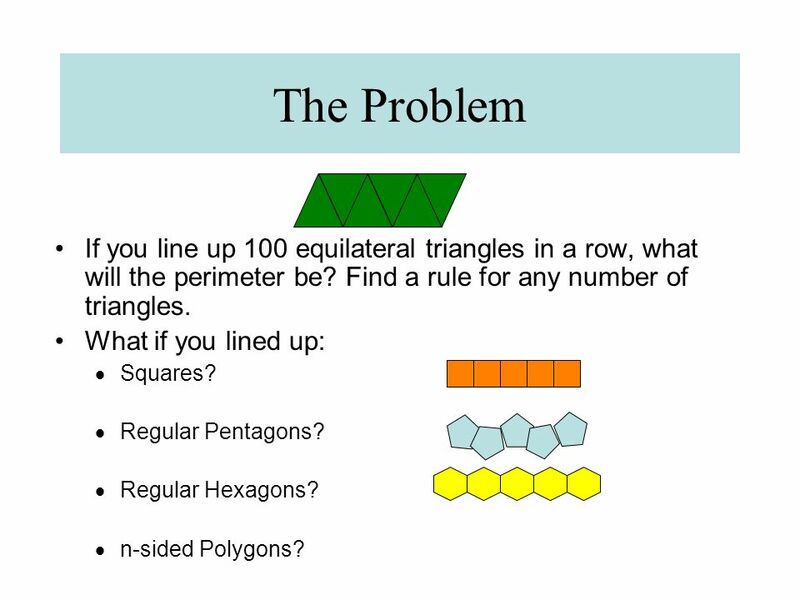 2 The Problem If you line up 100 equilateral triangles in a row, what will the perimeter be? Find a rule for any number of triangles. 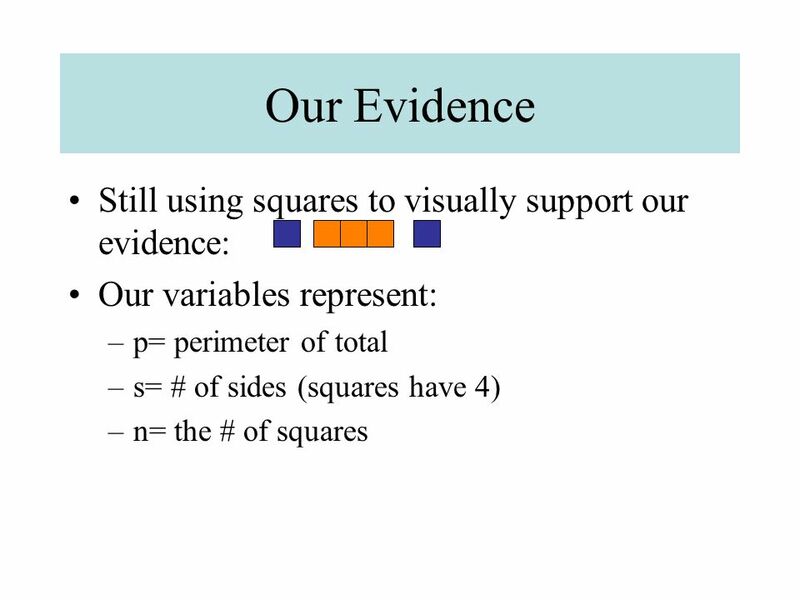 What if you lined up: Squares? Regular Pentagons? Regular Hexagons? n-sided Polygons? 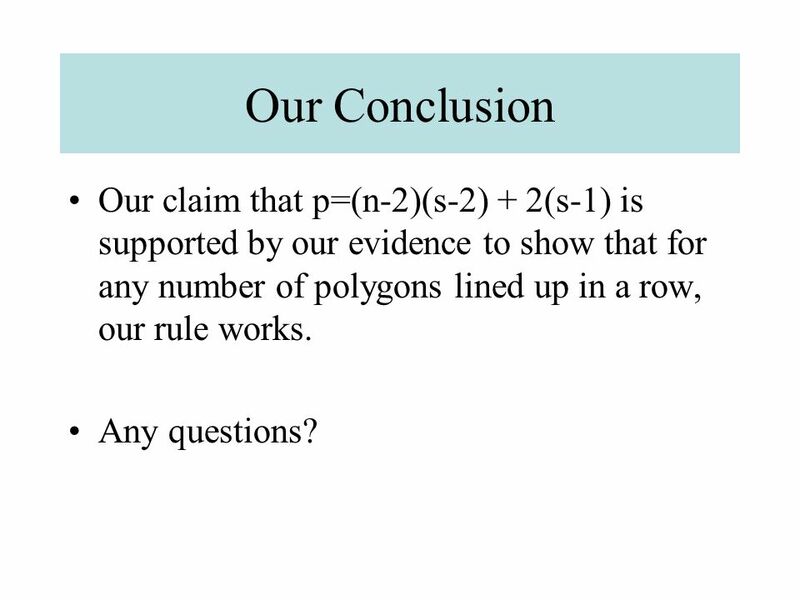 7 Our Conclusion Our claim that p=(n-2)(s-2) + 2(s-1) is supported by our evidence to show that for any number of polygons lined up in a row, our rule works. Any questions? 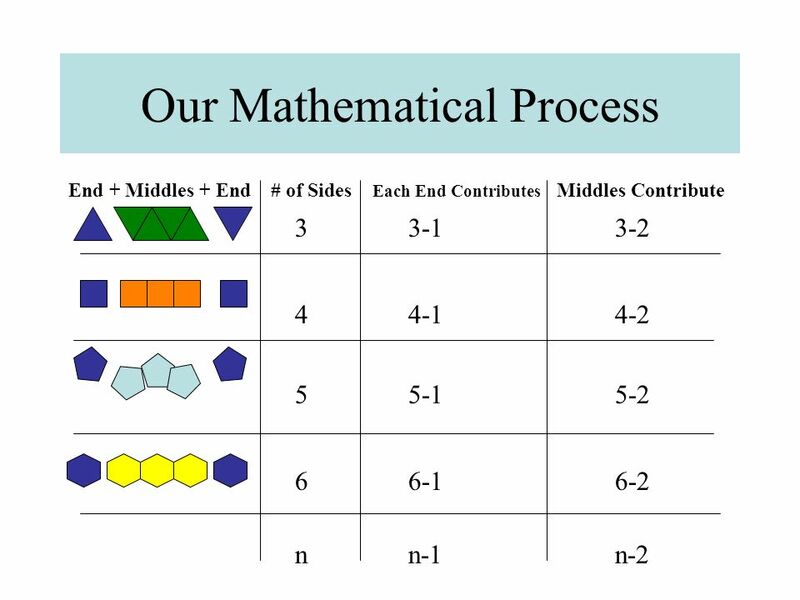 Generalizations and Extensions to the Hexagon Train Task. Prisms and Pyramids By Harrison. Regular Polygons. 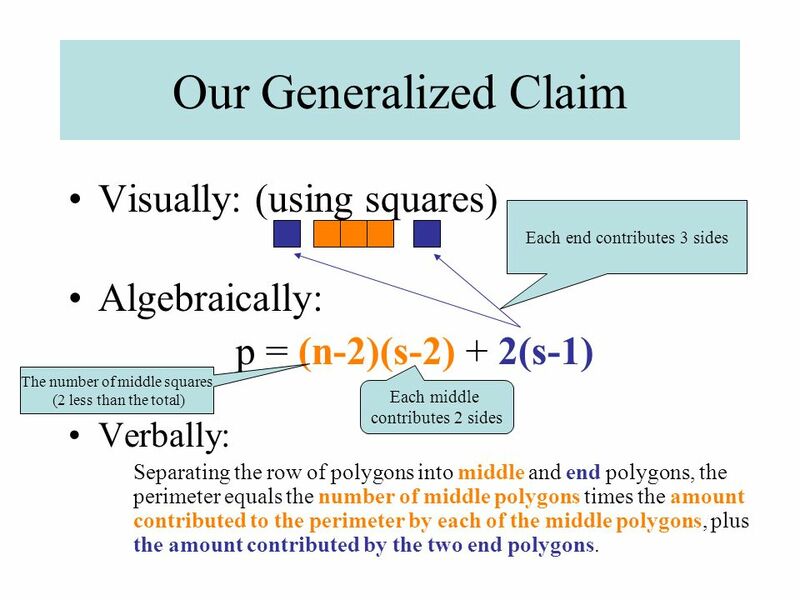 Introduction A Polygon is a many-sided shape. A Regular Polygon is a many-sided shape with all sides and angles the same. An important. Polygons Test Review. Test Review Find the missing angle. 50. Students will name two dimensional figures (9-4). The distance around the outside of a shape. Perimeter of Polygons Perimeter: the distance around a polygon Trace the perimeter of the shape. 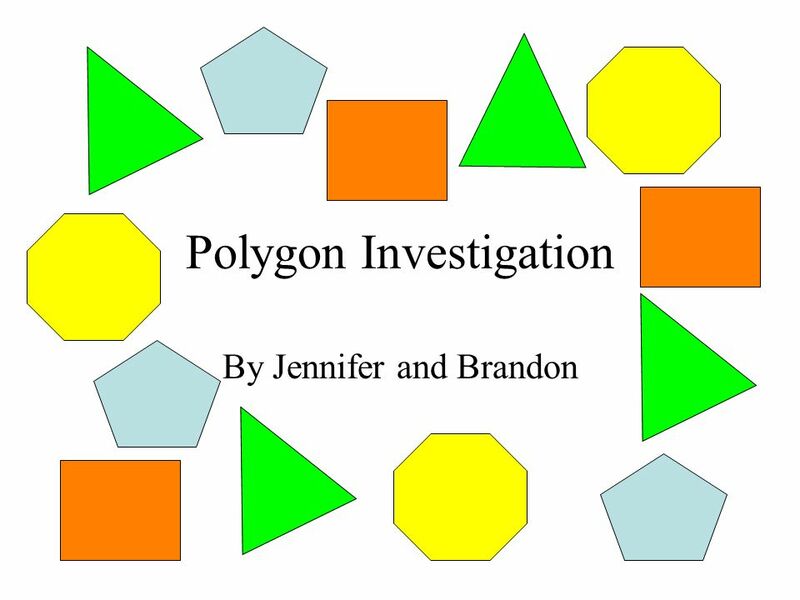 Areas of Regular Polygons Students will be able to find the areas of regular polygons. 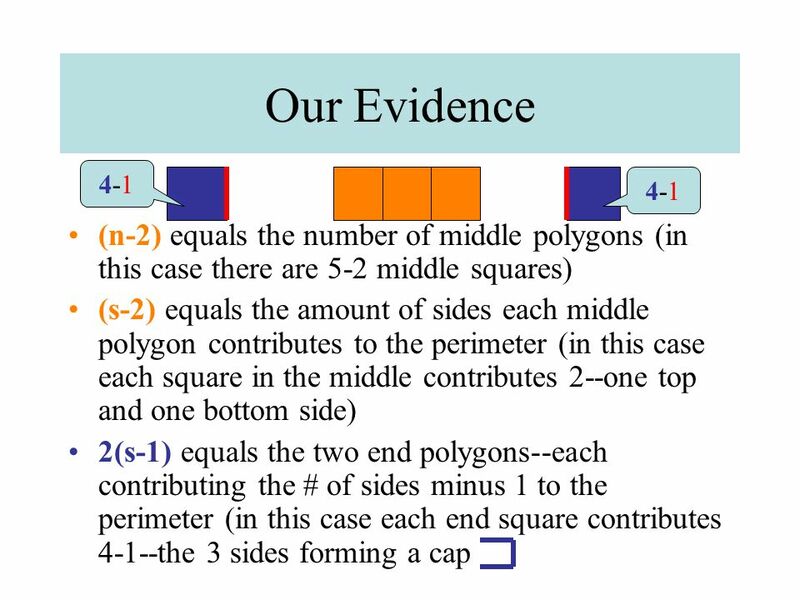 MATH 3A CHAPTER NINE PERIMETER AND AREA. LEARNING TARGETS AFTER YOU COMPLETE THIS CHAPTER, YOU WILL BE ABLE TO: CALCULATE PERIMETERS FOR REGULAR AND IRREGULAR.